Luciano Bottaro was a prolific contributor to the Italian Disney digest Topolino (Mickey Mouse), producing over a hundred stories throughout the 1950s and 1960s, and would return to the magazine periodically until his death. He was also a contributor to highly influential Great Parodies, Disney adaptations of literary classics pioneered by Italian creators. 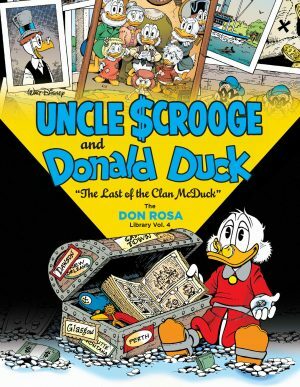 With his writing partner and protégé Carlo Chendi he scripted and illustrated both Donald and Uncle Scrooge stories and for Uncle Scrooge’s Money Rocket Fantagraphics presents a mixture of stories from both the 1960s and 1995. 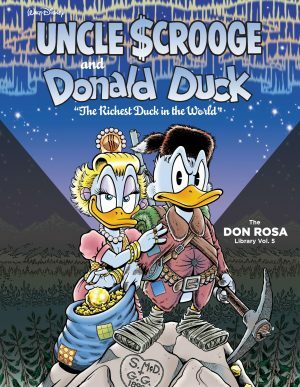 The most noticeable aspect of Bottaro’s artwork is how surprisingly vivid it is, with little to differentiate between his Donald/Scrooge and their present day counterparts. In ‘Uncle Scrooge’s Money Rocket’ (1960) Scrooge’s plans to keep his millions safe from the Beagle Boys go awry so he turns to inventor Gyro Gearloose. 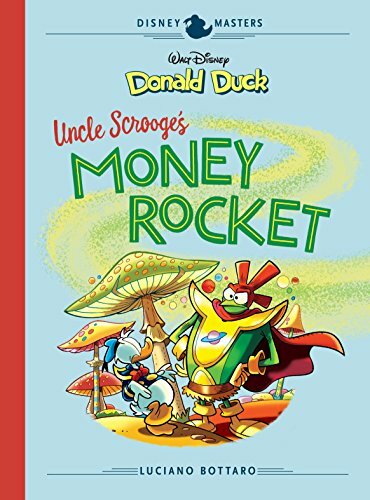 Coincidentally Gyro has invented a super rocket and a way to transport all Scrooge’s money at lightspeed, Scrooge manipulating the gullible Donald into being their dogsbody. When his nephews Huey, Dewey and Louie stow away things take a madcap turn for the worse and Donald finds himself on unlikely adventures in space making friends and enemies alike. Bottaro and Chendi send up the space race hype of the time in an utterly bonkers and wonderfully anarchic story, with short snappy dialogue that hides an underlying cynicism of human nature. 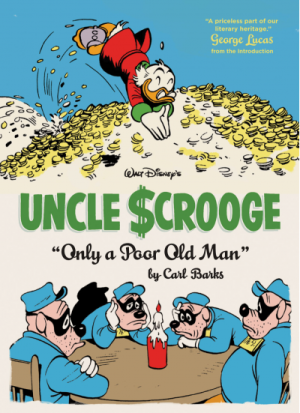 Scrooge is mean and greedy, Donald vain and Bottaro’s art captures every aspect of his characters with incredible expressions and dynamism. The outer space settings are wildly imaginative and Bottaro renders his alien races and space creatures with child-like enthusiasm. ‘The Return of Rebo’ is a sequel to ‘Money Rocket’ created in 1995 and it’s immediately apparent how much Botaro improved over 35 years, most noticeable in the abstract surrealism and energetic hustle and bustle occupying the backgrounds. He was good in the 1960s, but this is fabulous! Scrooge plans a stunt to boost the failing sales of his magazine Ducks Illustrated while Donald tries to clear the triplets’ toys away when he starts seeing things. When Scrooge ropes Donald in to assist with his promotional stunt, he uncovers a plot to invade Earth by alien dictator Rebo who has sworn revenge. The plot isn’t very linear, Bottaro rendering madcap fun while Chendi merely pokes the story in the right direction so Bottaro’s art can do the work. 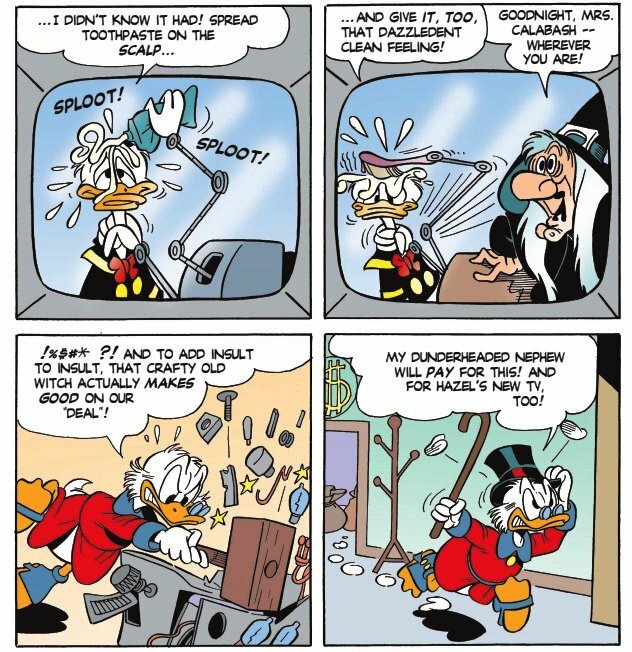 The final story features Uncle Scrooge in ‘TV Trickery’ where he has found the joys of advertising to help boost his fortune, manipulates Donald again and faces off against a cunning opponent. Written and illustrated entirely by Bottaro, his art is in this instance better than his writing. That dark cynicism about humanity is unrestrained, leeching some humour out. It’s not terrible by any means but Chendi’s calming influence on his friend is obvious when absent. The art remains excellent and also features Witch Hazel, a character created by Carl Barks that Bottaro was fond of using, and featured often in his stories. Rounding off the book is Armando Botto’s essay reflecting Bottaro’s life, work and influence on many Italian creators. The result is an enjoyable and fun introduction to Luciano Bottaro’s Disney work, but only scratching the surface of his Disney legacy. The under-rated American artist Paul Murry features next in Disney Masters with Mickey Mouse: The Case of the Vanishing Bandit. 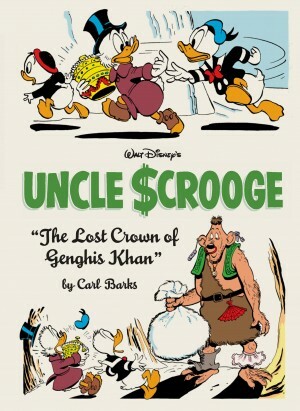 Uncle Scrooge’s Money Rocket is also found in the respective Disney Masters Gift/ Collector’s Box Set(s).